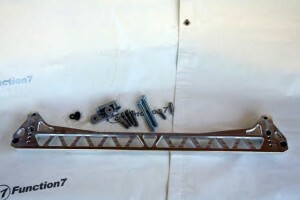 Function7 Rear Subframe Brace kit for 92-95 EG Civic / 94-01 DC2 Integra chassis. This brace reinforces the rear crossmember of the chassis providing you improved handling and steering response. Made out of 7075 aluminum. This is a one-piece construction. An it is designed to provide the max rigidity with minimum weight. 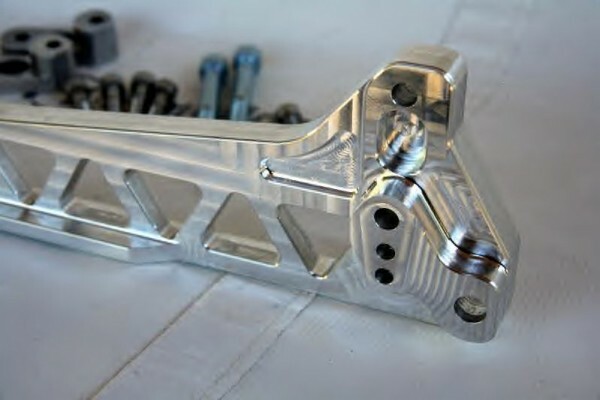 This will accommodate all factory and most aftermarket sway bar kits using almost any universal sway bar bracket kit. A standard hardware kit is included with the rear brace, and includes reinforcement plates to prevent frame tearout. Which may accure when useing a large diameter sway bar. Item ships within 1-2 business days from purchase date. | Page loaded in 0.009 seconds.